Theresa May has sought to reaffirm Britain’s role on the global stage by announcing a lucrative trade agreement with China Town, Winchester. “This is a historic moment for post-Brexit Britain,” May told reporters keen to understand the details of the agreement. “The UK and China Towns have not always seen eye-to-eye, but it is important to lay down a solid foundation for future relations. 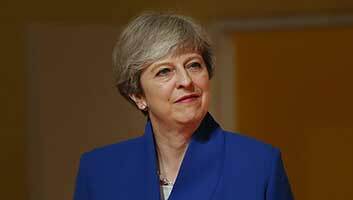 May told reporters that her tour is set is set to continue to Newcastle, Manchester, Liverpool and Sheffield and that initial talks with London’s China Town have been ‘good and constructive’. May faced down her backbench critics as she got off the bus in Winchester, telling reporters from the Hampshire Chronicle that “this tour shows the world that Brexit Britain is definitely open for business”.